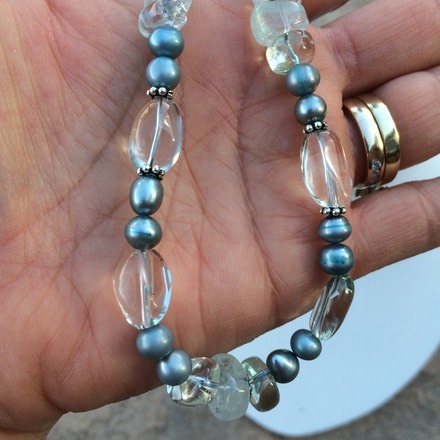 An elegant necklace to fit many tastes. 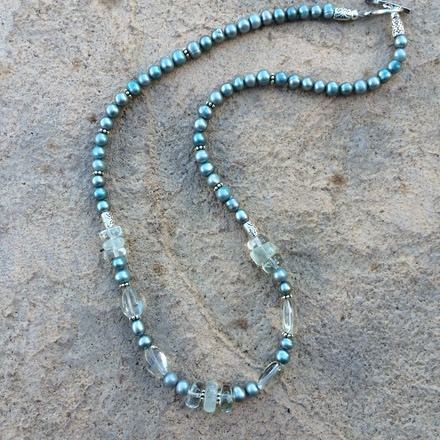 The color is lovely - Fresh Water Pearls in a silvery green/teal. Green Amethyst in a very transparent green. Pewter Components and Toggle Clasp. Length is 21-1/2”.